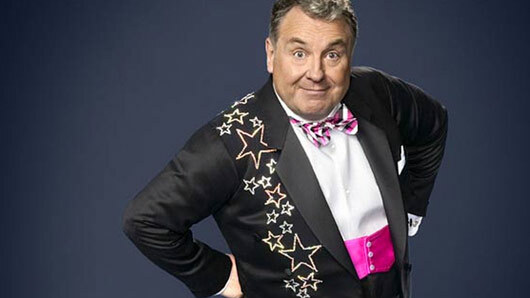 Former Strictly Come Dancing contestant Russell Grant will take centre stage on Let’s Sing and Dance for Comic Relief, performing as musical legend Diana Ross. The celebrity astrologer is thrilled that he will get the chance to perform for UK audiences again for a great cause. Speaking about the gig, he said: “This is the best birthday present to be taking part in Let’s Sing And Dance for this great charity. I was 66 last week and to be asked to do my bit in such a spectacular way is amazing. Grant will be performing Ross’ 1985 hit ‘Chain Reaction’ to raise money for Comic Relief on the show. Meanwhile, former Coronation Street actor Sally Lindsay will be performing as iconic Slade frontman Noddy Holder for the charity singalong. Also performing on the show are comedienne Sara Pascoe and One Show presenters Angellica Bell, Iwan Thomas, Alex Riley, Michelle Ackerley and Dominic Littlewood, who will perform as a group. They’ll face a celebrity judging panel made up of Britain’s hottest comedy names, including Frank Skinner, Jo Brand and Jason Manford and Jennifer Saunders. Former Great British Bake Off hosts Mel Giedroyc and Sue Perkins are in line to present the four-part series. Giedroyc added: “Since leaving the Royal Ballet twelve years ago, Mel is really looking forward to getting back on her points and showing the brave Comic Relief celebrity dancers how to split leap and ball change.